For the last 50 years, from their days playing together as teenagers, to their time as members of Jefferson Airplane, to their explorations in acoustic and electric blues with Hot Tuna, probably no artists have led American music more consistently than Jorma Kaukonen and Jack Casady. The pair began playing together while growing up in the Washington D.C. area, where Jorma became enamored of the finger-picking guitar style practiced by the legendary Rev. Gary Davis. Jack, meanwhile, had taken an interest in the electric bass, at the time a controversial instrument in blues, jazz, and folk circles. Moving cross country the pair were a significant mainstay of the Jefferson Airplane while remaining loyal to the blues, jazz, bluegrass, and folk influences of the small clubs and larger venues they had learned from years before. 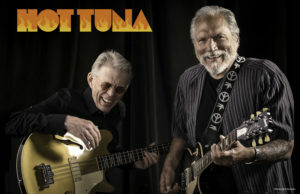 Hot Tuna became a side project from the band, eventually developing into its own force that has been going strong with a devout fan base since its inception five decades ago. 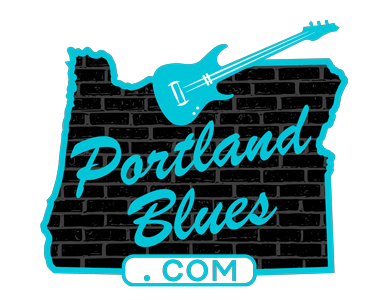 Hot Tuna will be returning to Portland for a date at the Aladdin Theater, 3017 SE Milwaukie Avenue, on Thursday, February 23 at 8:00 pm. Tickets are $39.50 in advance and $42.00 day of show and may be purchased at Ticketfly.com. This is an all ages event.